You may have plenty of blue jeans hanging in your closet, but these Wrangler Riggs Men's Blue Denim FR3W050 Relaxed Fit Flame Resistant Jeans aren't like any others in your wardrobe. They're an ideal option when you want work pants that are durable and comfortable ... (see full details) (see specifications) #WRGFR3W050. You may have plenty of blue jeans hanging in your closet, but these Wrangler Riggs Men's Blue Denim FR3W050 Relaxed Fit Flame Resistant Jeans aren't like any others in your wardrobe. They're an ideal option when you want work pants that are durable and comfortable with the added benefit of flame resistance. These flame-resistant medium blue denim work pants meet NFPA 2112 requirements and NFPA 70E, ASTM 1506 and OSHA Rule 1910.269 standards. They rated HRC2, ATPV 23.7 CAL/CM2. They made of 14.75-ounce heavyweight 100% cotton denim. Flame-resistant features include an arc-resistant button waistband closure, Nomex (FR) thread in all garment seams, a high-quality brass zipper with Nomex (FR) zipper tape, and flame-resistant pocketing. Flame-resistant protection is just the beginning of the reasons you'll love these men's work pants. They're built to last with triple-needle stitching and reinforced back pockets. Count on them to stand up to tough workday wear and feel great when you're wearing them, thanks to the exclusive Room2Move fit®, relaxed for wearable comfort all day long. Of course, they're made to fit over your boots and feature classic 5-pocket styling with an oversized watch pocket. For high visibility, there's an outside Safety Orange ID. So while you may have other jeans, they're not like these Wrangler Riggs Men's Blue Denim FR3W050 Relaxed Fit Flame Resistant Jeans. Step into these and you're stepping into flame-resistant safety, durability, and comfort. Order a pair today from Working Person's Store, and you'll see what we mean! 27 out of 32 people found this product review helpful. I bought these Wrangler jeans primarily because it is claiming to be relaxed fit and high ratings from previous buyers. It is really a very tight fit, so tight that it chokes my manhood when sit down. It is pretty cool when you stand with it, as it makes your behind look slim. It is probably can be considered relaxed fit by women's standard. But for working men, it is too tight to be comfortable in my view, unless you are super skinny. I do like the zipper though, very easy to pull the zipper. And it does not unzip by itself, as far as I can tell. Some other jeans are hard to zip. Overall, these fine jeans by Wrangler easily rival any jeans made by other manufacturers. Make sure you choose the right size and color for you if you're using the pricing and availability chart above on this webpage. If you want a pair of loose fitting yet rugged, durable jeans, this may be just what you're looking for. I doubt that you'll be disappointed. 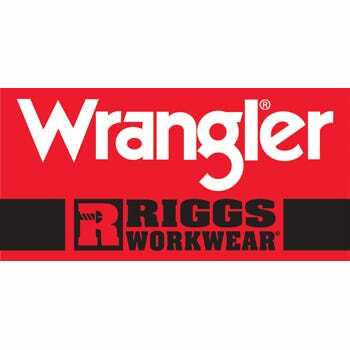 I bought four pair, of wrangler jeans, FR 3W050, because I have to wear FRC's when delivering pipe to oil rigs, any time on rig sight. My company issued FRC coveralls, that were way to hot in the summer. So I chose to purchase FR jeans and shirts, which are cooler and less baggy than the overalls. I am pleased with fit, and comfort, and I will be buying another 3 or 4 pair. I own 8 pairs of these jeans for over the last year. They are durable and a comfortable fit and great in cool weather, but in 100 degree weather, they add to the heat problem by not wicking moisture away, just trapping it and the heat inside. I suppose all FR fabric is this way, since I haven't found anything better. For the price, they are about the best you will find in FR jeans if you want a relaxed fit. I like to be safe when I work and I am around hot materials at work so I need that extra attention to safety and these jeans are the real deal. When I finish work I ride my cruiser back home and I've rubbed my legs against the exhaust more than once and it's nice to know that I have another layer of safety. Wrangler Riggs Jeans: Men's Blue Denim FR3W050 Relaxed Fit Flame Resistant Jeans is being added to your cart.